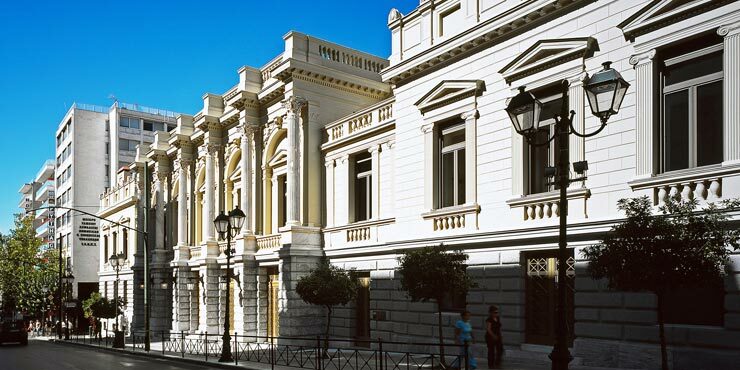 The Neo-Renaissance façade echoes the architectural style of the ancient Library of Hadrian in Athens. The National Theatre, designed by Ernst Ziller in 1880 and completed in 1890, had to be renovated due to a severe lack of space and new fire regulations. After several years of renovation work, including dismantling parts of the old building structure, the theatre resumed normal business activities in 2009. The GROHE Eurostyle wash basin and shower mixers, with their impressive modern appearance and effortless operation, are the highlight of the theatre’s washrooms. GROHE infra-red technology allows touch-free operation of the urinals. This state-of-the-art GROHE technology is hygienic, requires very little maintenance, and boasts long-term durability as well as maximum operational reliability.